Fresh food delivered right to your doorstep, what could be better? As a person who has always had interest in cooking and baking, I am always looking for new things to try and make. When looking for my new project, I try to stick to the healthy side, with all natural ingredients and low fats and sugars. Pinterest has always been my go to for recipes. From sweets, to a variety of dishes, I am able to find something healthy and not too difficult to make. While Pinterest will always be my go to for new meal ideas, I have recently come across a slightly new trend in the food world––food delivered right to your doorstep with fresh ingredients and recipes all inside. There are many services out there that are into this service that is at least to me, something new. 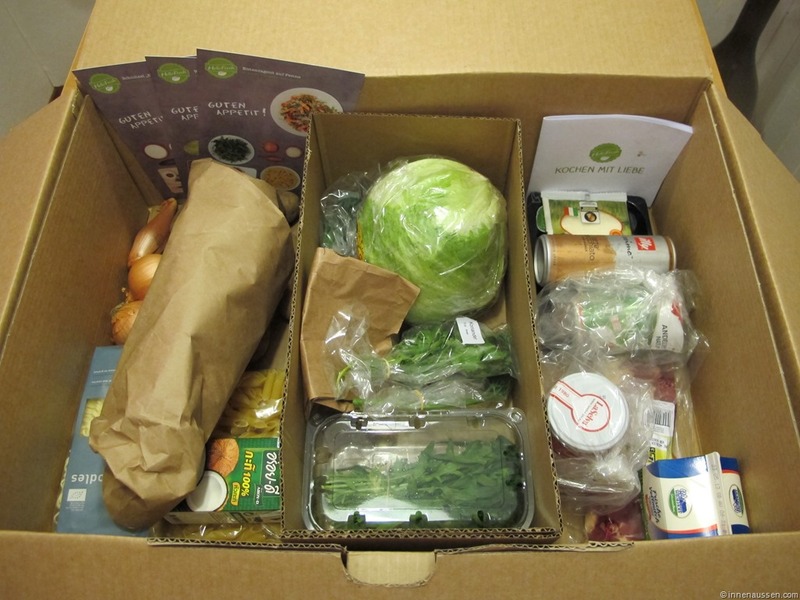 I recently tried Hello Fresh, but there are others out there such as Blue Apron and Sun Basket. Many may be wary about this new type of food service, however I am here to inform you about my experience, in hopes to give you a better perspective. I was introduced to Hello Fresh from my family as a birthday gift and found it as a very neat idea. As soon as I opened up the website I was impressed. You have options to choose a plan for two people dining, or four. I found this very accommodating, as you could provide food for you and someone else, or an entire family. Next was to choose what type of delivery I would be getting. Hello Fresh offers three types of options: Classic, which is for your average eater ranging from meat to fish, Veggie, for all my veggie heads like me, and Family, enough food to satisfy the whole family and all ages. Each meal for each category starts about the $9.00 range, which really isn't too bad in perspective. After choosing what you want, you are able to choose a delivery day and how many meals you would like. I chose Monday, figuring it would be a good start to the week. My box came right on time and I was even able to track it. When opening the box, you can see that all food is a great quality and that it is safely delivered. I had wondered how such a thing would work, but they thought of it all! Ice packs and carefully stored, the food was all set to go. You are given all the ingredients you need to make each meal with detailed instructions, step by step. I had the vegetarian box and three delicious meals laid out for the week. With such sophisticated meals and ingredients, I was nervous that the cooking would be hard. But no need to fret, everything is given and prepared, and the step by step made this cooking a breeze. After finishing my three meals provided throughout the week, I was ready for my next week's delivery! There are definitely many perks to this type of food service. By using Hello Fresh, I was already given the ingredients I needed for my entire meal, saving me from making some trips to the grocery store. Recipes were already laid out for me, so now hard decision making on what I wanted to eat! Better yet, I already knew what would be for dinner and I didn't have to worry about getting any of it or having to slow down the dinner process––it was quick and easy. Something I find really cool about this is not only are you given the ingredients with the recipes, but now you can keep all these new recipes and buy more ingredients on your own to recreate them!